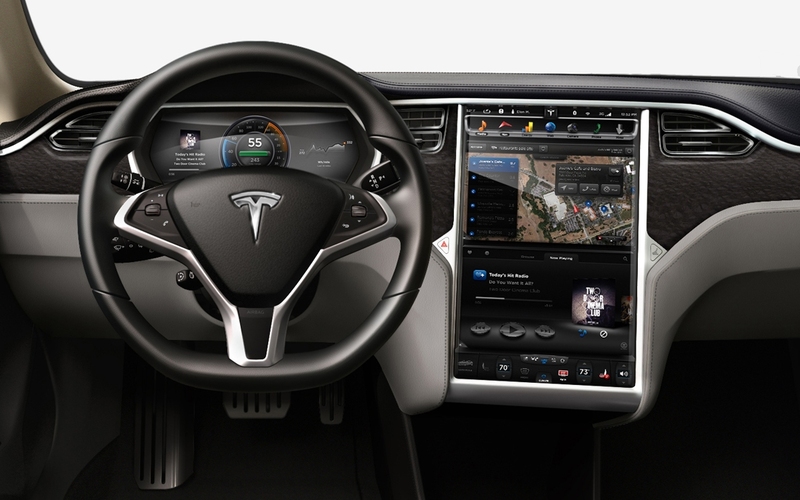 Electric automaker Tesla is reportedly interested in getting into the streaming music business. Sources within the industry tell Recode that the carmaker has held talks with all of the major record labels with regard to creating a proprietary streaming music service that would be bundled with its vehicles. Although the sources admit that they aren’t fully in-the-know, it would seem as though Tesla is interested in a multi-tiered platform with a base-level web radio offering similar to Pandora. The chatter begs the question – why would Tesla bother with creating its own service when it would seemingly be cheaper and easier to partner with an existing player like Spotify, Apple Music or Napster to integrate their service into vehicles’ infotainment systems? My guess is that it’d be cheaper to work a deal directly with music labels versus going through an existing provider. A Tesla spokesperson told the publication that they believe it’s important to have an exceptional in-car experience so their customers can listen to the music they want from whatever source they choose. Tesla’s goal, the spokesperson added, is to simply achieve maximum happiness for their customers. Recode notes that Tesla already offers a deal with Spotify – which now has more than 140 million monthly active users (of which around 50 million are paid subscribers) – for vehicles sold outside of the US.